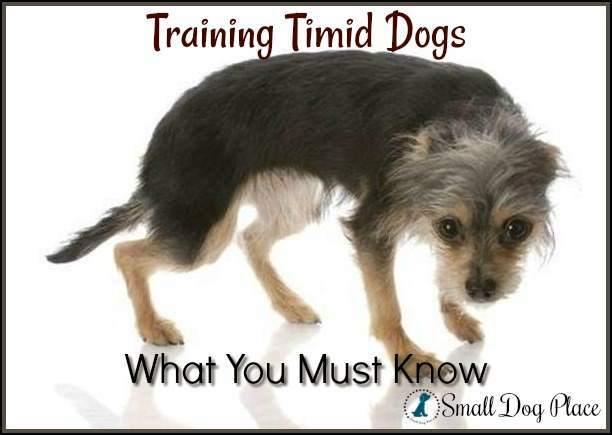 Dog behavioral problems are one of the many reasons people seek help with a dog trainer or animal behavior specialist. Some are more serious than others. Some problems can be traced back to a genetics and normal canine behavior gone astray. Others are caused by the environment, either through poor socialization as a puppy, trauma, or simply through owners who have unwittingly encouraged behaviors that eventually become problems. Unless pet owners have been trained, the average dog owner may recognize the behavior problem but have little idea where the problem originated or how they can help their dog overcome or even eliminate the problem. If you are one of those owners, relax, you are not alone. Most people misunderstand and mishandle their dog’s behaviors. 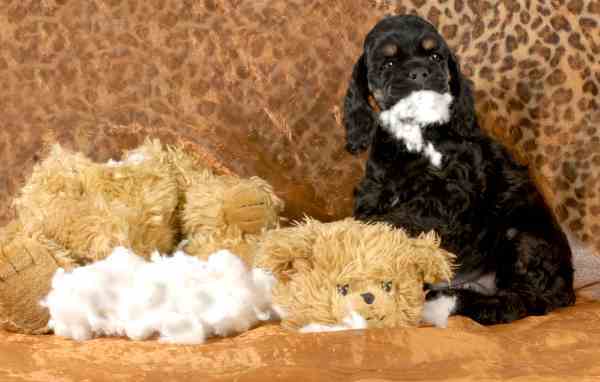 There are a number of common behavior problems seen in small dogs, some more serious than others. 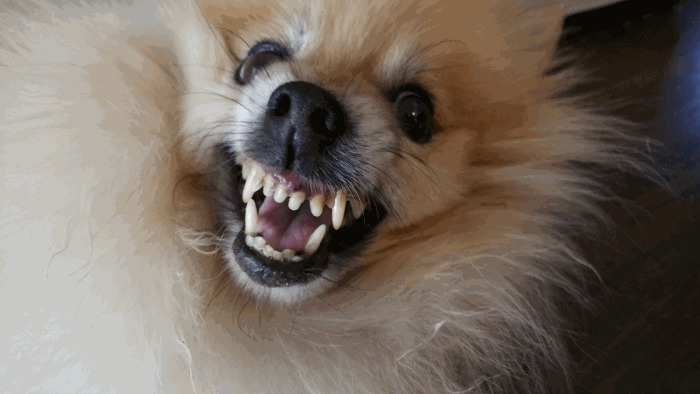 Aggression in small dogs is one of those dog behavioral problems that is hard to ignore. It has many causes and comes in many different forms. 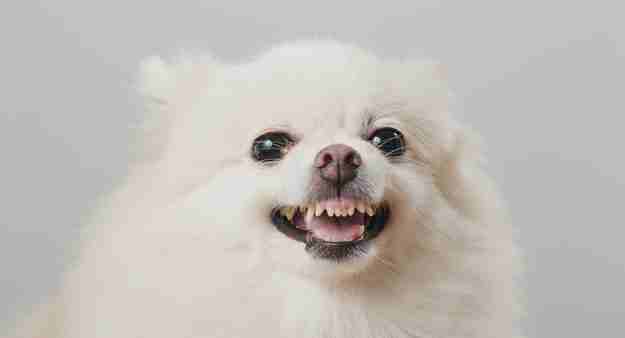 While there is plenty evidence to suggest a genetic cause, there is even more reason to believe that the environment might have something to do with dogs who are aggressive. Causes and types are discussed as well as some solutions. Almost all dogs bark, howl and whine but some small dogs are known for their yappiness. 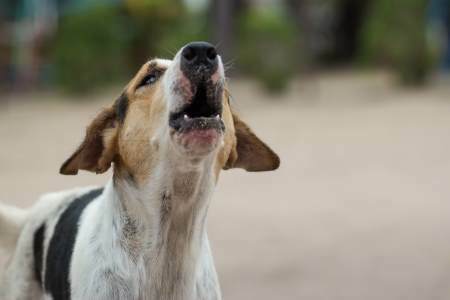 Excessive barking is a dog behavioral problem -- it is disruptive and annoying, both for you and for your neighbors. 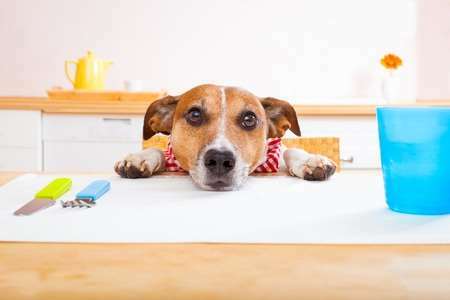 Begging is a bad habit, but many small breed dog owners unfortunately encourage it. This can lead to digestive problems and obesity. Worse yet, it can undermine your role as pack leader. If given the chance, most dogs will do some amount of digging, it is part of their instinct. 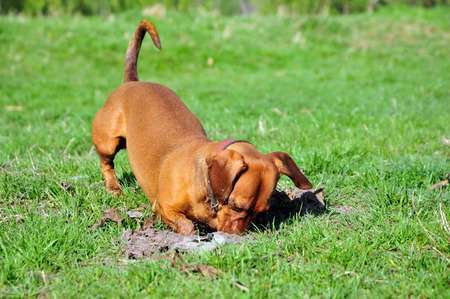 Some dogs have been developed to dig burrows to look for rats and other vermin. What happens when this activity involves digging a hole in your carpet or best rose garden? This is when digging becomes a big dog behavioral problem. The good news is that you don’t have to put up with having your furniture in tatters. There are some tactics that you can use to correct this behavior. If you are interested in finding out just how to curb your pup’s unfortunate habits, this is what you need to do. Yes, sometimes it can seem like your small dog is gnawing on your furniture just to mess with you. Despite this, there is probably an underlying cause for this destructive behavior. Here are some of the most common culprits. Eating Their Own or Others' Poop: YUCK! This may be one of the most distasteful behaviors to observe or discover after the fact. The technical term for eating one's stool is coprophagia and the practice is more of a behavioral problem than a health problem, but there can be some health issues associated with the practice. Excitement Urination is common in some puppies. 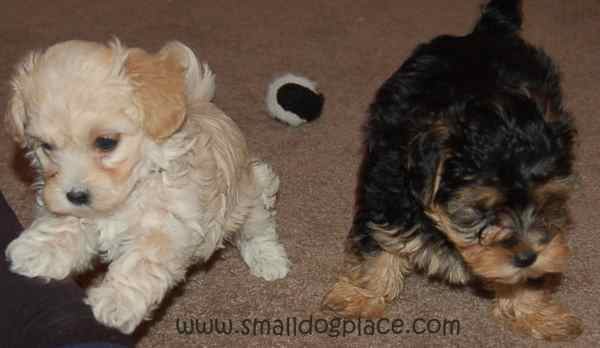 Excitement Urination and Submissive Urination are two types of urination problems that I have seen sometimes in small dogs. Both are troublesome and discouraging, but there is hope. While we may not be able to eliminate these problems entirely, we can at least understand why they are happening and what we should and should not do to improve the situation. 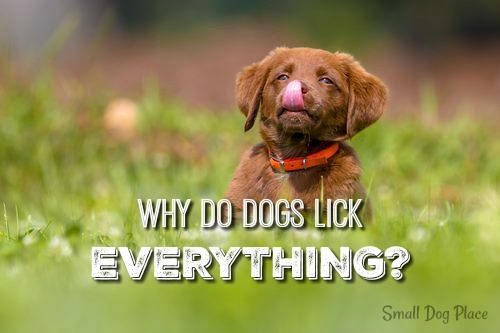 All dogs are a little crazy in their own way, but licking everything in sight is actually more common than you might think. Carpets, toys, us, themselves – nothing is too dirty or too weird for their appetite, but should you be concerned? Inappropriate urination and defecation are among the most frustrating dog behaviors for their human families. They can damage areas of your home and make your dog unwelcome in public places or at the homes of others. The little piddling that happens when a dog is trying to act submissive can be very annoying. Is there anything we can do about it? Having more than their share of energy, some highly active small dogs need a little help from us to bring at exuberance down a notch or two. 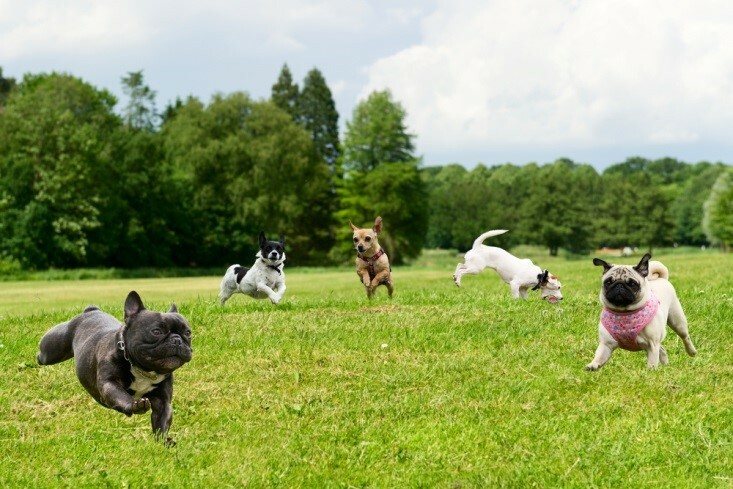 Having plenty of energy is not a behavioral problem because most of the dogs that fit into this category were breed from the beginning to do a job requiring plenty of energy. The problem comes when these dogs can not find ways to calm themselves and are working with a high level of adrenaline that can cause damage to the body. Just leave a comment in the box below and click the like / share to let others know about my site. We really appreciate it. Thank you.